I’ve had various discussions recently about students consenting to learning analytics and whether they should be able to opt out. Institutions are understandably concerned not only to do the right thing ethically for their students but, perhaps more pressingly, to comply with legal requirements. The imminent imposition of the General Data Protection Regulation brings stricter data protection for citizens in the European Economic Area and is concentrating minds across Europe. What exactly should students be consenting to? What should they be allowed to opt out of? If they do opt out of learning analytics could that have an adverse impact on their education (and create inconvenient holes in the data sets used for learning analytics)? What happens if students give their consent initially and then opt out subsequently? What should we put into our computing regulations or other documents that students need to sign? 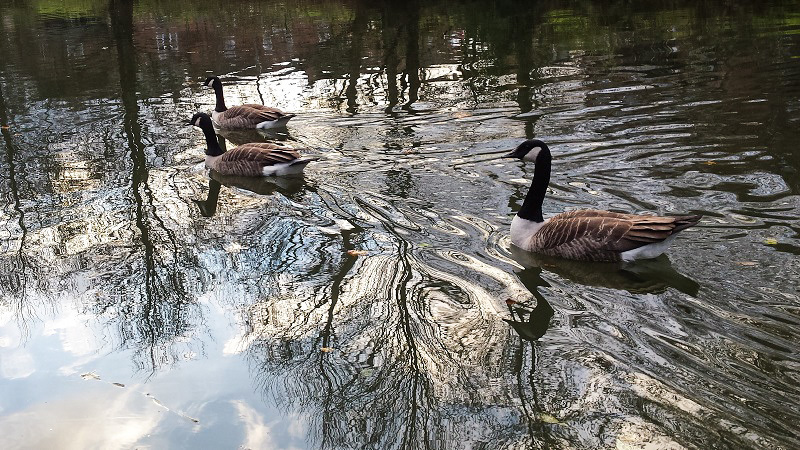 In order to try to get my head around the issues I took a walk along a canal this afternoon and came up with the following scenario which I’ll call Extreme Learning Analytics. Extreme learning analytics is the pedagogical model of this institution. Data will be captured constantly and used in multiple ways to enhance the educational experience for Eilidh and also used to improve institutional processes. When Eilidh signs up to study psychology at the institution she is provided with full details of exactly what data will be captured about her and her actions as she studies, what metrics are created from this data, how the algorithms work and what interventions she can expect to be taken on the basis of any predictive models, whether mediated by human or machine. She is given assurance that the analytics will only be used for the benefit of her and other students. She’s assured that her data will never be used to target her with marketing (other than to suggest what course she might like to study next) and never sold or passed onto other agencies (with a few specified exceptions e.g. law enforcement agencies if they require it for a criminal investigation). At this point Eilidh can make a real and informed choice about whether to accept these uses of her personal data or to reject them. If she rejects them, she cannot participate at this university, as the pedagogy and student support models necessitate the continual gathering and use of student data. Eilidh has a high level of data literacy, and is interested to read the student guide to learning analytics. She is aware of potential misuses of people’s data, and that every time she carries out a Google search, makes a purchase on Amazon or checks her friends’ updates on Facebook her every action is being recorded. This data is then used ostensibly to optimise services for her, but with the ultimate objective of selling her more products and maximising profits for these commercial enterprises. She assumes (correctly) that the university, while obviously wanting to ensure its own financial survival, is not driven by the profit motive, and has no other reason to collect her data than to enhance the educational experience for her and her fellow students. She decides to enrol with the institution and ticks the box which says that she agrees that data can be collected about her and her actions as described in the student guide to learning analytics. A few months into her course, Eilidh decides that she’d like to view the engagement data that has been captured about her. She clicks a button on her personalised university home page and can see some useful visualisations about when she studies, and for how long. She realises she’s been studying late at night too often, and decides to get up earlier and study in the morning when she seems to be more productive. When she graduates, Eilidh decides to enrol on a Masters course at another university. She grabs a full copy of all her engagement data from the last few years, requests that it is deleted from the institution and then uploads her data to her new university. There’s nothing particularly radical about this scenario: most of the elements are already taking place in universities. I’m not aware of anywhere yet, though, where the use of student data is being used quite so systematically. Despite the all-embracing use of personal data, it would seem to comply with aspects of European data protection legislation such as being being fully transparent about the data and algorithms, requiring that genuine informed consent is obtained, and enabling the right to be forgotten and the provision of a portable digital copy of a student’s data. Our problems appear to stem from the fact that we’re trapped in an institutional mind set where we see analytics and the use of data as an add-on rather than an integral part of education as in the scenario above. As it’s possible right now in most institutions to study without learning analytics, the assumption is that institutions have to ask students for their consent if we do start using analytics. If consent is withheld we will of course still let them study because to do so would seem unfair. 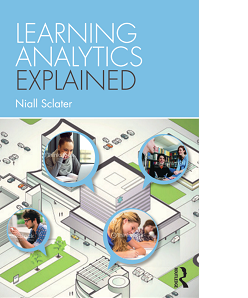 However this potentially denies that learner any benefits from use of their data, and holds back the development of learning analytics. The difference between the scenario above and the current situtation in most institutions is that Extreme Learning Analytics effectively says “Tick this box or you can’t study here”. Draconian perhaps, giving our current thinking, but is it any different from Google, Amazon or Facebook saying to us “Tick this box or you’re not using our services”? And again, arguably, universities can take the moral high ground because they can argue honestly that the data is being collected primarily for the learner’s benefit. Institutions already collect data about students, they process it and use it to take interventions. When a student sits an exam for example her grade will be collected electronically, and may be emailed to her. If she fails she may be sent a letter offering her a resit. So what makes learning analytics different? Perhaps because (1) it’s new, (2) the data collection is potentially more intrusive given the multiple sources available, and (3) it brings more possibilities for adverse effects on individual students. Realistically, we are in a transitional phase and are not suddenly going to migrate to the fully data-driven scenario above. People need time to be convinced of the benefits of such an approach, and ways to understand and interpret the evolving legislation. In collaboration with Jisc colleagues, I hope shortly to provide some concrete guidance to institutions on how to answer the questions I posed initially. Longer term, as data-informed approaches to teaching and learning become mainstream, it seems likely that we will have to require students to consent to their data being used for learning analytics if they want to study with our institutions. Meanwhile, we can start looking in more detail at what they can meaningfully consent to and opt out of while they’re studying, such as particular types of interventions. What is learning analytics and how can it help your institution?